For today I’ll just give you an update on what’s going on here in Oregon. 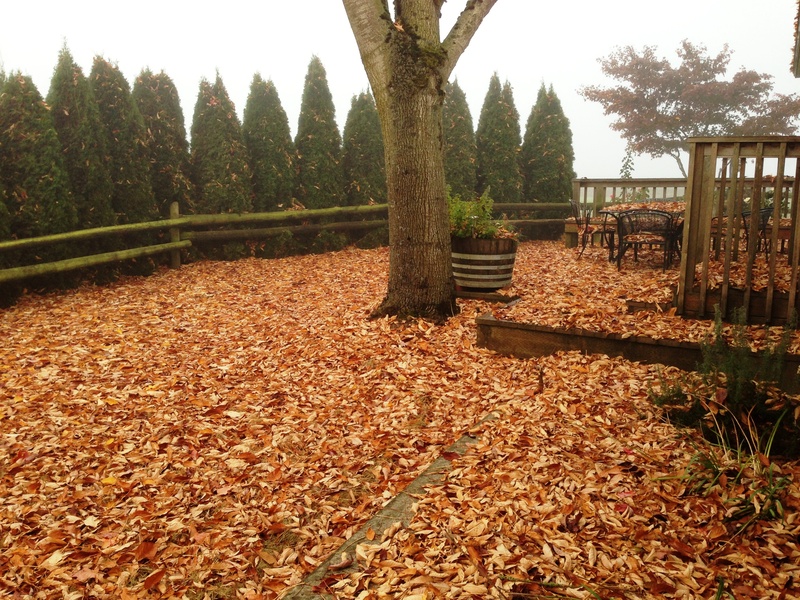 We’re having some incredible fall weather, foggy mornings, sunny afternoons and chilly evenings! Basically it’s the best time of year here and we’re taking advantage of the lack of rain and getting quite a bit done!! We have only one more field to get worked down before we get it marked out to plant filberts. We plant in the fall and then crop in between the rows to get a little return on our land while we wait for a hazelnut crop to come (4 years is about how long it takes). 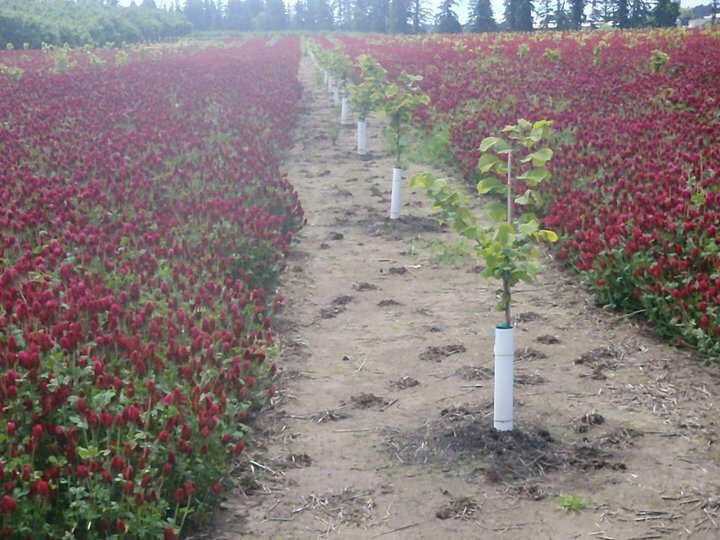 Below is an example of a 1 year old orchard with crimson clover in between the rows. We are also working on getting our established orchards pruned up to be able to take out half the trees next year. Our older trees are 23 years old, and hazelnut trees love to have room to grow so that they can produce more and more. So because of the size of our trees, we are going to be taking out half of them. This may sound counter intuitive, but it does work out in the end. We did this to another orchard a few years ago and the first year we lost half the production, the preceding years though it slowly caught up and this past harvest we broke even. I’m guessing that next year this orchard with only half the trees could out produce those where we haven’t thinned yet. In a way it’s like pruning your roses back, just on a much larger scale! As for me….due to my post from last week. I’m on light duty, only allowed to lift 10 lbs for the next two weeks. (Do you know how many things on a farm are OVER 10 lbs??!! Basically everything!!) So I’m working on next year’s budget…a necessary evil of farming and good business. Anyhow hope everyone is having a good Monday so far and if you’re not having this great weather…aka Midwest states…I’ll try to send some your way! The farm seems like a really nice place. I`m now desiring to live in a refreshing beautiful place.